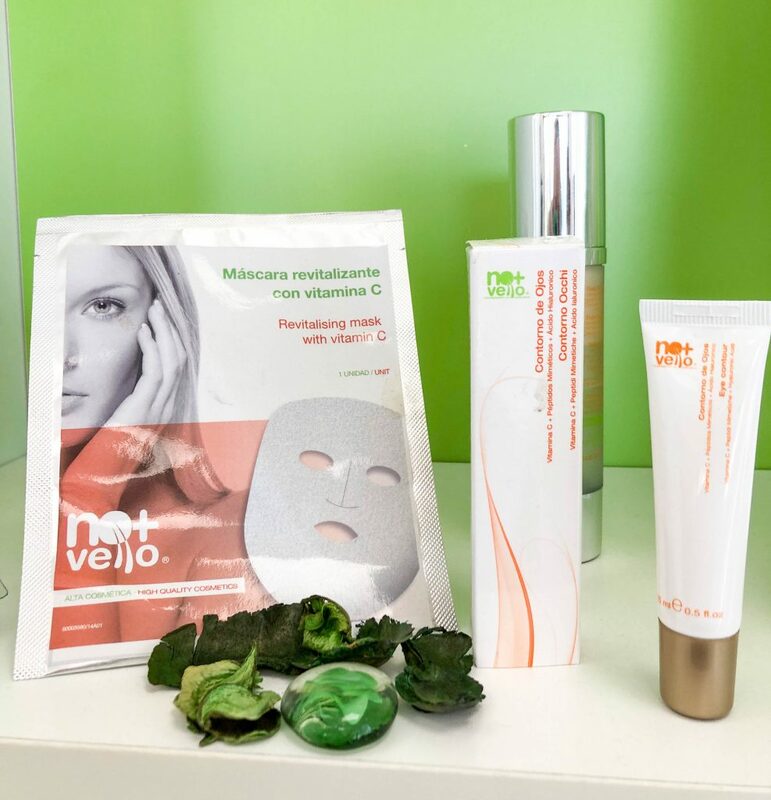 At No+Vello, conveniently located in Torri di Quartesolo, you’ll find a business ready to cater to the American community’s hair removal and skin care needs (No+vello or Nomasvello literally translates to “no more hair!”). They offer affordable, efficient, and top-notch treatments, including IPL hair removal and facial cleansing. Intense Pulsed Light (IPL) is safe, painless, and works well for both men and women. New clients will be offered a free trial. During the free trial, your consultant, Chiara, explains the treatments and you will be able to try the treatment on a small section of your skin. You will also be asked to fill out a health questionnaire (all in English! ), and she will provide you with brochures featuring information and suggestions about before—and after—treatment care (again, in English!). Typically, you will be able to see results after just one session. Then, they normally recommend you return for about one session a month. The duration of each session can vary depending on each client’s hair needs. The most common treatments for women include legs and bikini areas. For men, treatments on shoulders, neck, and back areas are most popular. 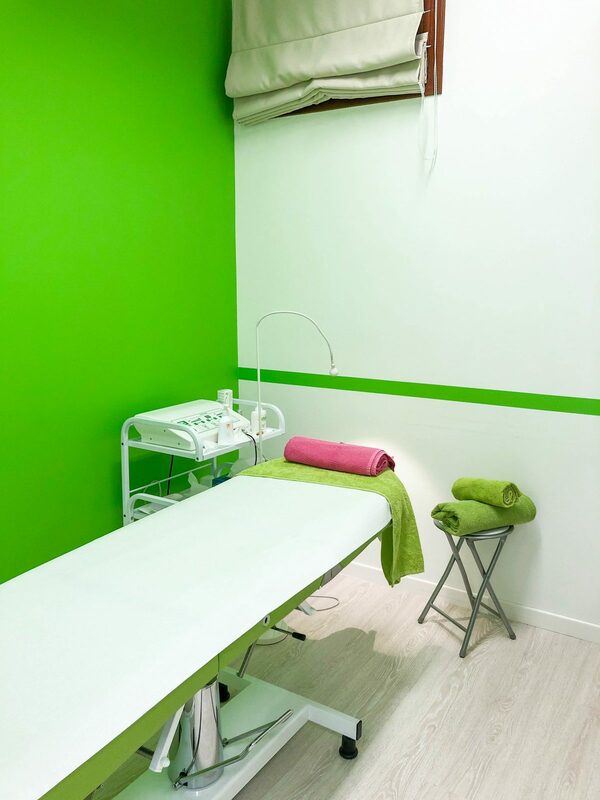 Each area of the body can be treated for only 36€ (note, legs 36€ each). What makes No+vello special is that you’ll see the same friendly face each time you visit. Chiara is always happy to welcome you into her studio. While she seeks to continually improve her English through her interaction with American clients, she is fluent enough to easily communicate with you about your treatments. 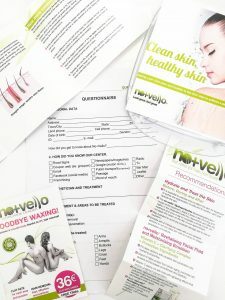 Another feature that sets No+vello apart from other hair removal businesses is their high-tech equipment that can recognize the specific hair follicles of each person and customize a treatment for that kind of hair on the spot! For the remainder of your treatments, the machine will be set for your specific needs. Being able to customize each session for their client’s specific needs is a point of pride for No+vello—and what they believe enables them to stand out among the rest. If you are looking for a relaxing, yet invigorating skin rejuvenation, try No+vello’s ultra-sonic facial cleansing. After performing a skin test, they determine what areas of the skin need to be addressed (i.e. blackheads, wrinkles, dry skin, etc.). Then, they use their ultra-sonic cleansing machine to perform the treatments. Afterwards, you will leave with helpful information on how to treat your skin to maintain its beauty and freshness. No+vello offers 5 different types of facial cleansing—from basic to complete. The “Basic” is the simplest one, and includes ultra-sonic cleansing and treatment using a special cream, at a price of 18€. The “Complete,” which I was able to experience with Chiara, is the best deal at 45€. This level of service begins with gentle makeup removal, followed by a personalized skin test. Next, she massages a soothing liquid onto the face, and follows up with a face mask. A light head massage using an exclusive cream ends with a relaxing facial massage. Chiara suggested that I return each month to receive a facial, and to switch between the different types to keep my skin feeling smooth and beautiful. The complete facial was not only great for my skin, but also relaxing as well. 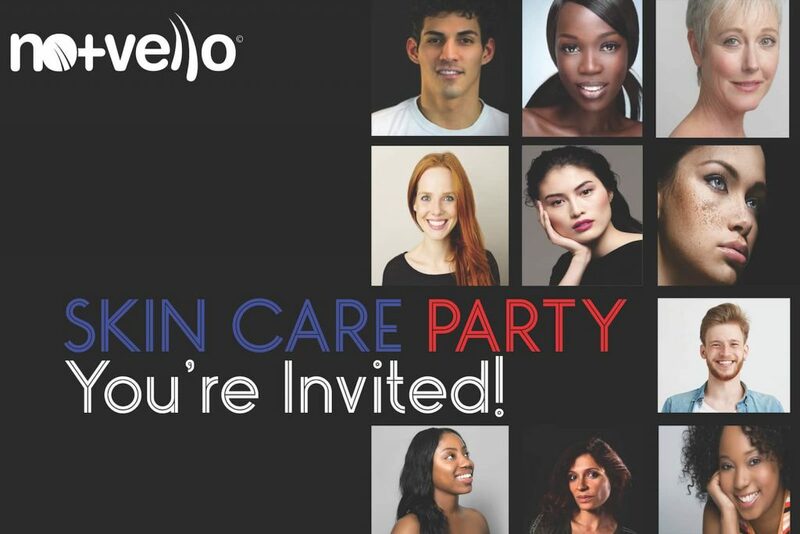 If you would like to test out No+vello’s skincare services FREE OF CHARGE, consider attending their special Skin Care Party Event on Saturday, April 6th from 2:00 pm to 6:30 pm. Chiara and the staff will be there to meet you! This is an event not to be missed. Buffet and gifts will be provided for everyone, as well as combo deals on treatment packages! For more information about the skin care party, visit this page here. 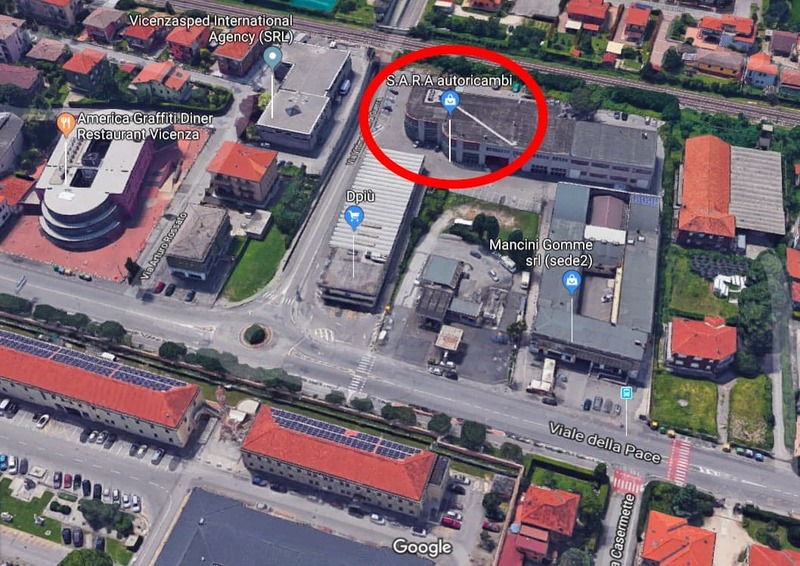 Auto Parts & Auto Supply Store in Vicenza – Viale della Pace, 248f, in front of the Caserma Ederle chapel gate, behind the Eni-Agip self gas station. Trattoria Ambrosini restaurant recommends to its customers: menu and culinary experiences that may vary depending on season changing, valorizing the old Venetian tradition but revised with a special consideration for simple and healthy products, mainly locally sourced and, if possible, from biological farming, fresh and without food coloring and preservatives, with the ultimate aim of a healthy eating. Ours specialties range from homemade pasta and gnocchi dressed with seasonal products and many types of grilled and roasted meat both traditional (beef, pork, chicken) and exotic ones (bison, ostrich, deer). Our attention is always focused on cooking each kind of meat, the best possible way. Maurizio and his staff are waiting for you. From Tuesday to Friday lunch at fixed price menu. Outdoor play area. Open: from Tuesday to Sunday, for lunch and dinner. Closed: on Monday, on Saturday for lunch and on Sunday for dinner. The Vicenza downtown covered Farmers Market with about 20 farmers. Open just on weekends offers the best of their typical products. The information on this page was provided by public or private contributors. ItalybyUS.com is not responsible for the accuracy or any changes to the reported info. Register with free member account to start interacting with Italy by US or pick a pay package to begin promoting your business or event. Let us send all new happenings about your area!